Buying large numbers of insects and releasing them in hopes of reducing garden pests is a biological pest control practice known as augmentative biological control which has become popular with home gardeners. Briefly, augmentative biological control involves releasing predator insects such as ladybug beetles and praying mantises to control herbivorous insect pests. The point of which is to avoid toxic pesticides by using insects as a kind of natural pesticide. Nothing could be more natural, more environmentally friendly, more ecologically correct, and more effective, right? To begin with, the ladybugs one buys in garden centers across the country are adults, no longer growing and no longer eating much. It’s actually the ladybug larvae which voraciously eat aphids to support their growth. 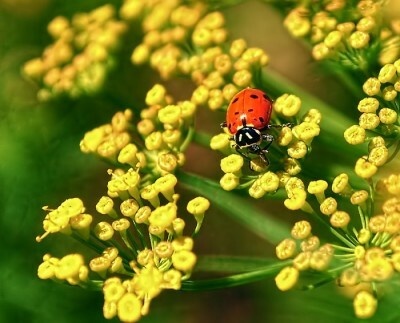 In her wisdom, the female ladybug will not lay eggs on the plant unless it is heavily infested with aphids. Therefore, ones plants had better be well stocked with aphids if one does not want to buy ladybugs repeatedly. But, let’s say I have aphids on my roses and hope to control them with ladybugs. I release a pint of ladybugs in my garden. What is this? Do I spy a ladybug chewing up black swallowtail butterfly eggs among my carrots? Perhaps a praying mantis would have more discriminating taste? But no, it captures the mother butterfly herself! Never fear, though. This won’t last long: once the prey is eaten, the predators will die. That’s why a sparse garden of exotic plants has no ladybugs in the first place. What we plant in the garden is important. The reason has to do with the relationship between herbivorous insects and the plants that they eat which, they have co-evolved with. For example, over 800 species of insects live in a native oak tree and eat all parts of the tree. We see lots of birds in oaks because they are feeding insects to their babies. So, if we don’t have native plants we have fewer insects. Do we need all native plants? No, but it’s important to include natives. The greater the number of plant species one grows, the greater the number of insect species one supports and the more reliable the population of predatory insects like ladybugs one will have for controlling plant pests. Ceanothus, coffeeberry and buckwheat are very effective for attracting native insects. Good non-native flower choices are plants in the umbel family, such as dill and others in the carrot family – Cilantro, fennel, and parsley, to name a few. The carrot family of plants have a short flowering season so having a vegetable garden with succession planting is helpful and herbs in the mint family (rosemary, thyme) also attract insects. To keep insects in your garden, make sure they have water, shelter and a pesticide free environment. Grasses are important habitat for ladybugs and they provide early season nectar for other beneficial insects. In spring, I always have thriving populations of insects on the hairy vetch. It seems to function as a virtual insect nursery! By purposefully attracting native insects to your garden and providing conditions to keep them there, we are practicing conservation biological control, by far the most ecologically correct and least expensive way for a gardener to encourage many species of helpful insects. Conservation biological control, is the only pest management approach that actually creates a positive feedback loop – The less one uses pesticides the more ones natural enemy populations will establish – The more natural enemies one has in the garden the less pests, less chemicals, and the less one needs to purchase pints of ladybugs. In conclusion, biological control is inherent to landscapes that are natural, native, crowded and varied. That’s why the choice of how to spend my time and money is simple: Planting plants. Which, is why I became a gardener in the first place. To borrow some words from Michael Pollan, the successful gardener knows to align ones interests with the interests of the insects. 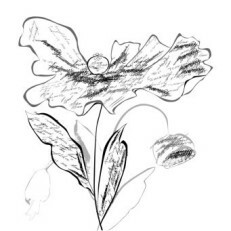 The successful gardener also discovers that when pathogens or pests appear, interventions “work,” that is, solve the immediate problem, but they often lead to unanticipated forms of disorder.